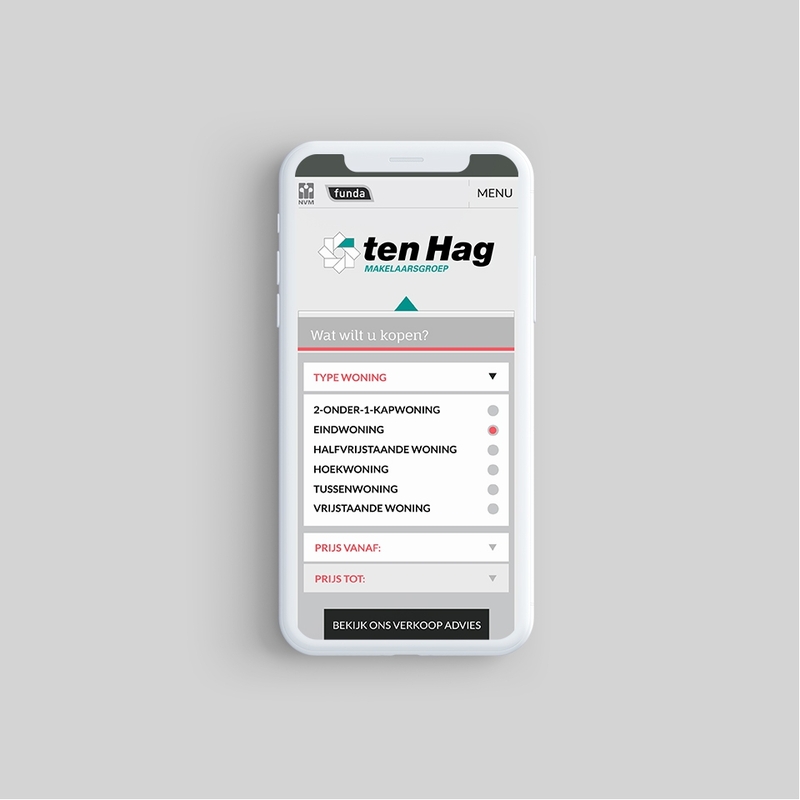 At ten Hag it’s more than about strong and comprehensive service. 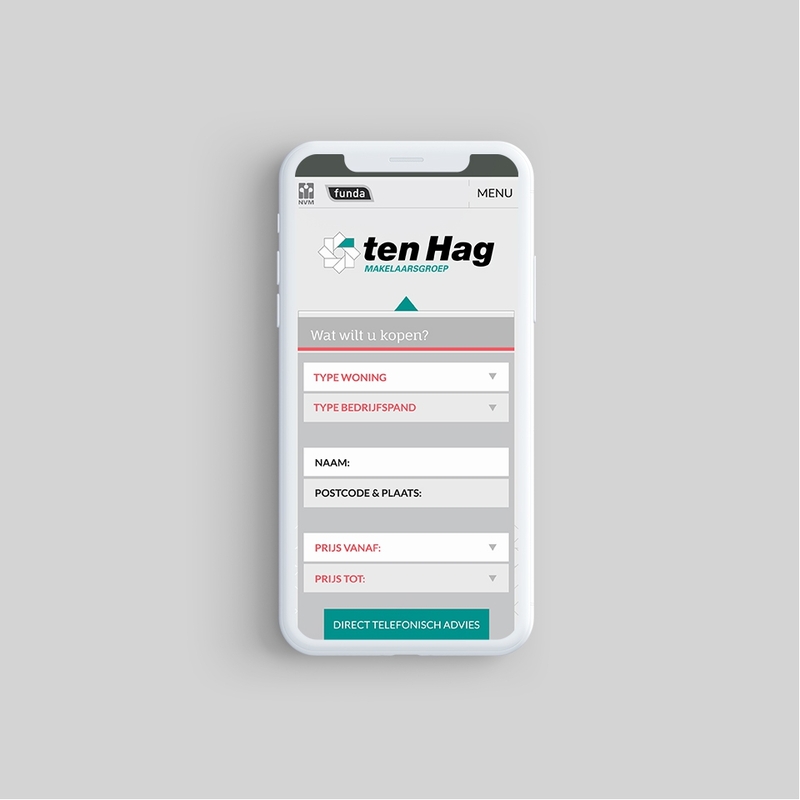 What makes ten Hag unique is the combination between knowledge and personal attention. It’s to understand the importance of involvement, reliability and building up lasting relationships with their clients. In other words: You can expect the same attention from ten Hag in their specialism and expertise as on the interpersonal level. This within their extensive professional network build up over the years. 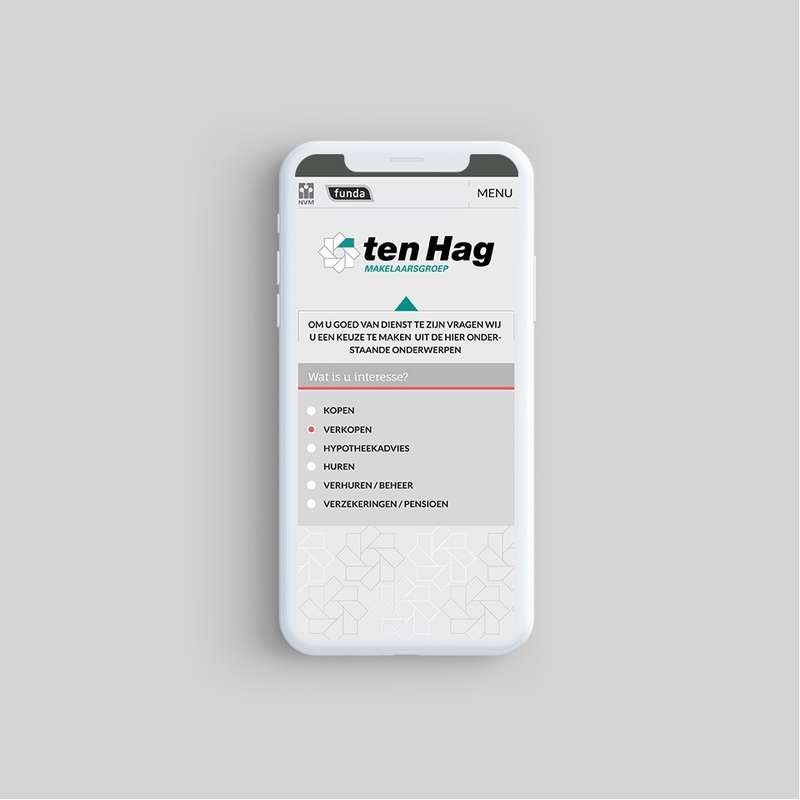 To get ten Hag’s proposition clear within the website, we made a sophisticated custom search function to focus on the combination between knowledge (information) and personal attention. Hereby making a user friendly and strait forward search tool that leads a “potential” client in three basic steps to the information they need. Information concerning home brokerage, business brokerage, real estate management, financial services in the field of mortgage, insurance and pension advice. 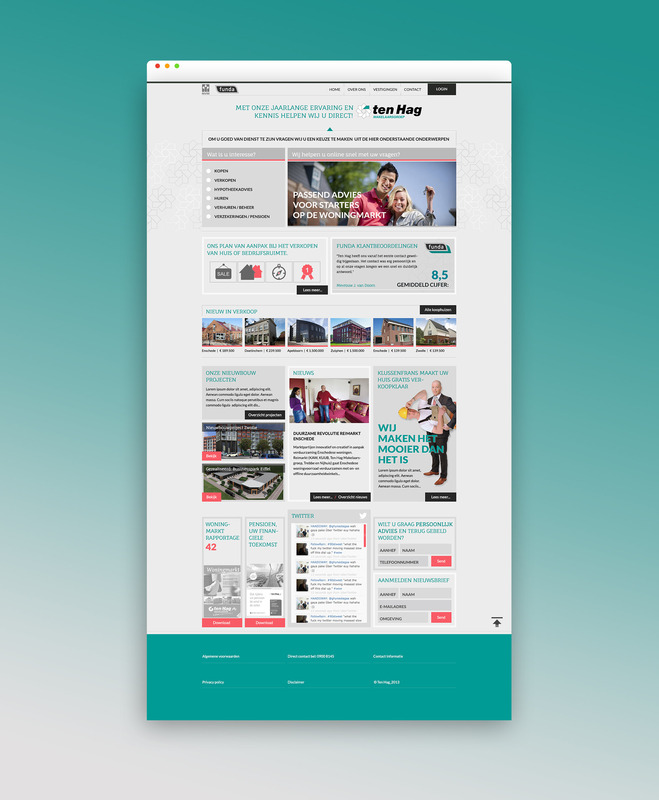 With in-dept research, user journeys and wireframes we realized this new approach with a clear look and feel design for web and for mobile.